To the DIY pros and homebodies everywhere, this guide is for you. Doing chores and home projects and doing them well always gives us a feeling of fulfillment. If mowing the lawn, cleaning the pool, and painting the walls is leaving you hungry for more work to do, you might want to consider at home auto maintenance. 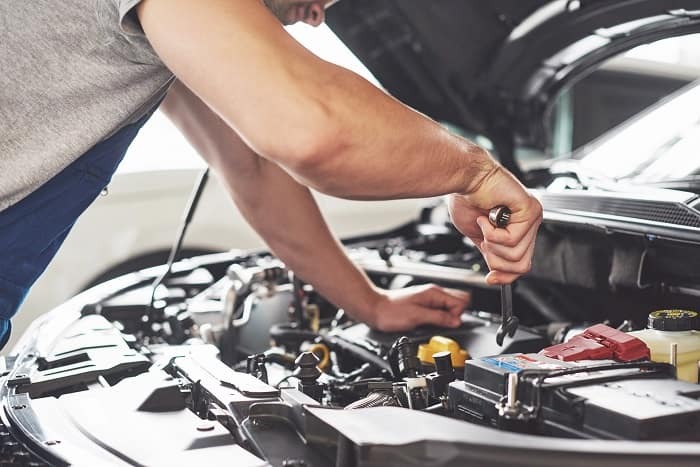 While it may look complicated when you bring your car into Toyota of Clermont for auto service, the truth is that you can do a lot of routine auto maintenance right from your driveway! For those eager to get started, here’s a guide from us at Toyota of Clermont! If your warning light has been coming on or the windshield of your Clermont Toyota vehicle has seen cleaner days, then it’s probably time for you to top off the washer fluid. This auto maintenance step is very simple and only takes a few minutes from start to finish. First, make sure you have windshield wiper fluid on hand. Next, open the hood and look for the reservoir. Then, pour new fluid into the reservoir until it’s full. Yep, that easy! Checking the condition of your tire tread and the current pressure level is another auto maintenance procedure that’s simple and it’s one that you can even do on the go. To check the condition of your Clermont Toyota tires and their tread depth, take a quarter and put it in the deep grooves of the tread. Look to see where the tread height lines up with the president’s head on the quarter, if it’s less than the top of his head then it might be time to start thinking of getting new tires. If you’re looking for an affordable set of new tires, Toyota of Clermont has a variety of options and all affordably priced. To check the current pressure level in your Clermont Toyota tires, make sure to use an accurate pressure gauge. Simply remove the safety cap from the valve stem, put the compatible end from the pressure gauge onto the tire, and read the pressure level. On average, a Clermont Toyota tire should have about six to eight less psi than their maximum fill limit. While this at home auto maintenance job is a little more involved than the previous two, doing this at home can save you money! Before you get started, make sure to park your Clermont Toyota on a flat surface. This will ensure that your vehicle won’t roll during the oil change and either injure you or damage the jacks you’re using. You’re also going to need an oil pan to catch your old motor oil when you start the draining process. Next, you have to find the oil reservoir amidst your Clermont Toyota vehicle’s undercarriage, it’ll look like a large square like container with a single bolt towards the bottom of it. After you’ve found the reservoir, use a wrench to remove the drain plug and empty it into your oil pan. Once it’s been thoroughly drained, replace the drain bolt, remove the jacks, and make your way to the Clermont Toyota engine. 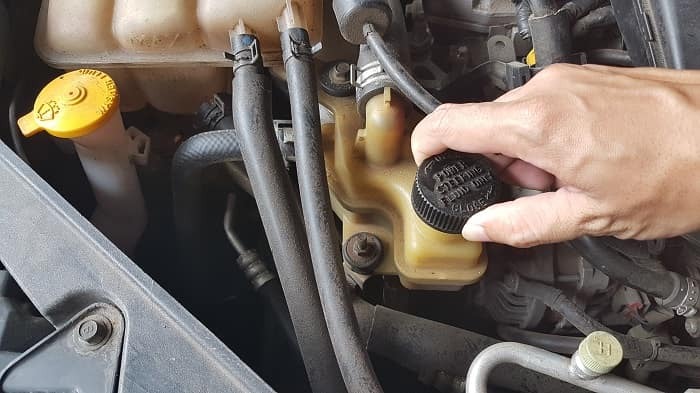 Then, locate the oil reservoir (typically located on the top of your vehicle’s engine), and pour new oil into the engine. Before you pour new motor oil into the engine, make sure consult your owner’s manual for the proper amount to use and if your chosen oil is compatible. At home auto maintenance is a very rewarding project to undertake, but if you’re finding yourself short on time or have questions on where to get started, we’ve got you covered! At Toyota of Clermont, our expert auto maintenance team is always here to help. We’re open seven days a week and you can schedule an appoint by calling (352) 404 – 7000 today!